Connecting with your kids can be made difficult with crazy work schedules, classes, and volunteer schedules. I know this because I have witnessed it in my own home. My husband is a wonderful father, and R absolutely adores him, but the past few months have been a very busy time for him, while he attempts to juggle everything. I can see the affect it has on the days where he might only get 15 minutes with R. And I know a lot of families have hurdles to jump as well. This busy time will only last a couple more weeks (thankfully! ), but we have a system in place that helps us through this time. And even when things calm down, it will be a fun thing to continue. Melissa & Doug's My Own Mailbox Classic Toy makes those long days easier. And fun! 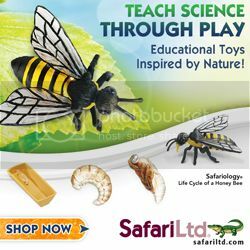 And now you can get it personalized for only $1.99 (along with many other fantastic Melissa & Doug toys)! Personalizing makes any gift that much more special and Melissa & Doug has rolled out this new feature just in time for the holidays! 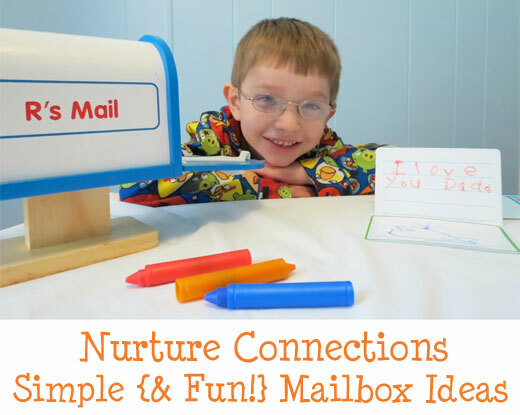 This mailbox toy is a ton of fun by itself and is great for encouraging creative play. R loves playing with his very own mailbox, and he really looks forward to the days where he has an extra special surprise waiting for him. He also takes pride in creating and leaving surprises of his own. This really allows them to nurture the connection when they can't spend as much time together. 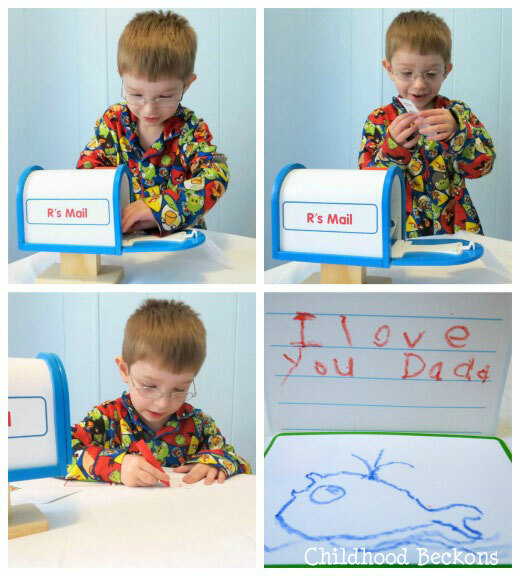 R's daddy leaves him notes in the morning, and sometimes in the afternoons when he comes home and has to leave again. He might also include an extra trinket some days. I help R read the notes and then write notes of his own. This system is fantastic because it would work with children of all ages. If your children are too young to write their own notes, you could write them as they dictate. Or they could create pictures to include. Is your family not as busy as mine? Is it busier? This is great for any time someone spends time away from home. I encourage you to give it a try and to tailor it to your family. Cards- The Melissa & Doug mailbox comes with reusable little cards that R loves, but I know we'll get some cute and funny dollar store cards to use as well. Artwork- R loves drawing pictures for his daddy, but also loves receiving hilarious little drawings. 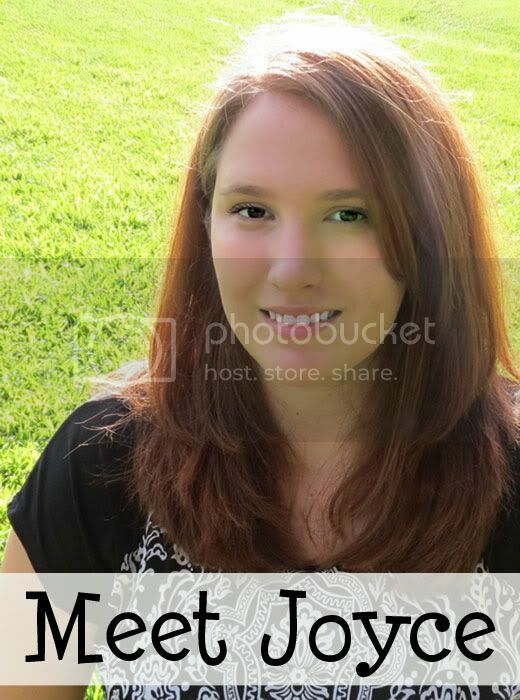 Personalized Pictures- Take a picture holding a sign that says "I love you" or another sweet message. An adult could add the picture to a small frame, or print them off wallet size so the parent can take it with them everywhere. Stickers- Whether it's a pack, or just a couple stickers from a quarter machine, stickers are a fantastic little surprise. Coupons- For family time! Do you know that you have some time to give your undivided attention? Build the anticipation by dropping a little coupon in that morning. They'll be looking forward to family time the rest of the day. Trinkets- A quarter machine toy or a special rock. Treasure Hunt Clue- Leave the first clue for a treasure hunt. Movie or Event Tickets- Another way to build anticipation is to leave tickets to a movie they've been wanting to see, or an event they've been wanting to go to. Candy- Candy is always a special treat! Jokes- This is fun for everyone and a great way to start (or end!) the day with a smile. Is that a whale that he drew? Super cute!